The development of thinking machines is an adventure as bold and ambitious as any that humans have attempted. And the truth is that Artificial Intelligence is already an indispensable part of our daily lives. Without it, Google wouldn't find out whatever you need to know. Your smartphone would be . . . just a phone. In countless ways AI has made the world what it is today. 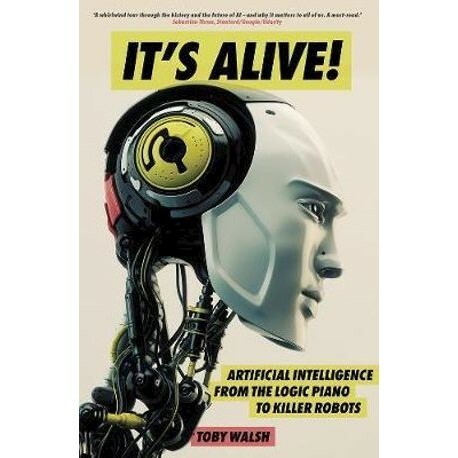 In this new book, Toby Walsh provides a fascinating survey of Artificial Intelligence for the general reader- where it came from, the state of the art today, and where it will take us tomorrow. His ten predictions of what AI will have achieved by 2050 will surprise you! Walsh discusses how AI will transform our societies, our economies and even ourselves, and what we can do about this. Toby Walsh is one of the world's leading researchers in Artificial Intelligence. He is a Professor of Artificial Intelligence at the University of New South Wales and leads a research group at Data61, Australia's Centre of Excellence for ICT Research. He has been elected a fellow of the Association for the Advancement of AI for his contributions to AI research, and has won the prestigious Humboldt research award. He has previously held research positions in England, Scotland, France, Germany, Italy, Ireland and Sweden.